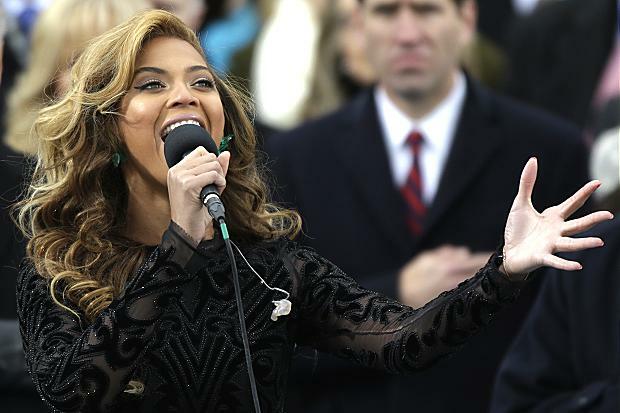 Beyoncé lip-synched Star Spangled Banner at inauguration - Oh No They Didn't! Beyoncé’s Instagram photo of herself in a recording studio with members of the Marine Corps Band. The London Times has confirmed our theory that Beyoncé was, in fact, lip syncing. See the video via YouTube.